Eating at home for the last week has been based around a really lovely pork roast. It all started Wednesday morning, when I mashed several garlic cloves in a mortar with lots of salt and pepper, then rubbed it all over a pork shoulder and let it all get friendly in the refrigerator for the rest of the day. Jon stuck the pork in the oven before I got home, and by dinnertime it was just right: almost-pink and juicy, with the garlic just beginning to burn on the sides of the pan. We ate it in slices over some truly addictive buttermilk mashed potatoes (from Judy Rodger’s Zuni cookbook) with shredded Brussels sprouts. That was pretty good. But on Thursday, we were thinking tacos. After dinner on Wedneday, Jon cut the leftover pork into cubes, and I set some of it aside to use later, for soup. 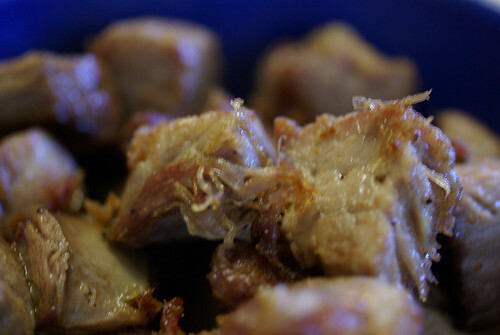 On Thursday I rendered some salt pork into a large heavy pan and fried the pork cubes in the fat. 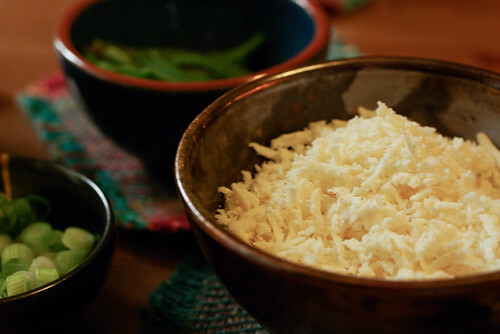 I sprinkled in some New Mexico chile powder and stirred them up well, then let them sizzle – they stayed in just long enough to start to produce lovely crispy threads all around. 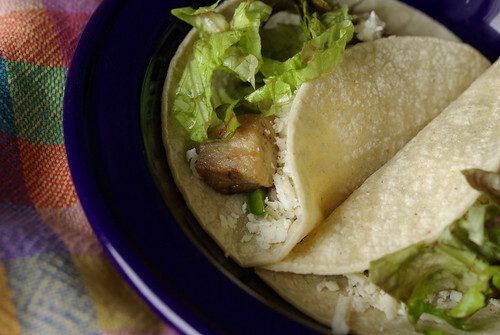 We ate the carnitas wrapped in yellow corn tortillas, with shredded lettuce, cotija cheese, jalapeño rajas and chopped green onion. Oh, my. 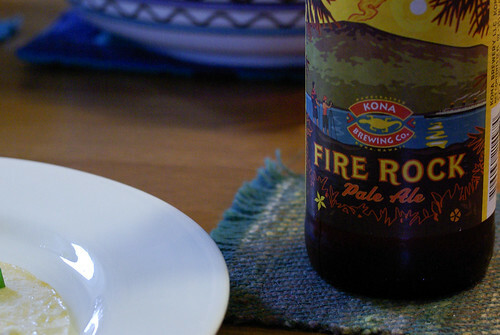 A freshly shaken margarita and Kona Fire Rock pale ale were perfect accompaniments. I had tacos again for lunch on Friday. 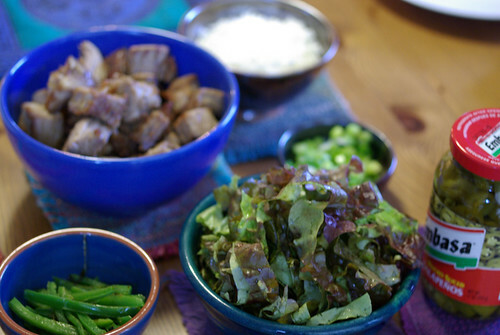 And on Monday we had the soup, with white beans, pork chunks and fresh asparagus (still not local, darn it). 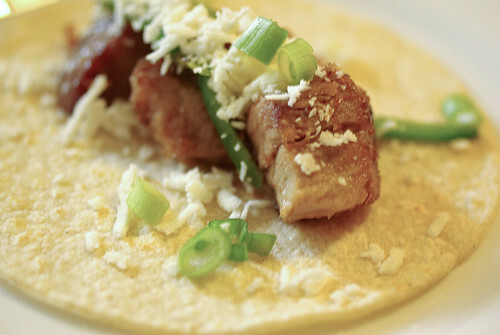 It was pleasant and fresh tasting, but the tacos were the star of the week.